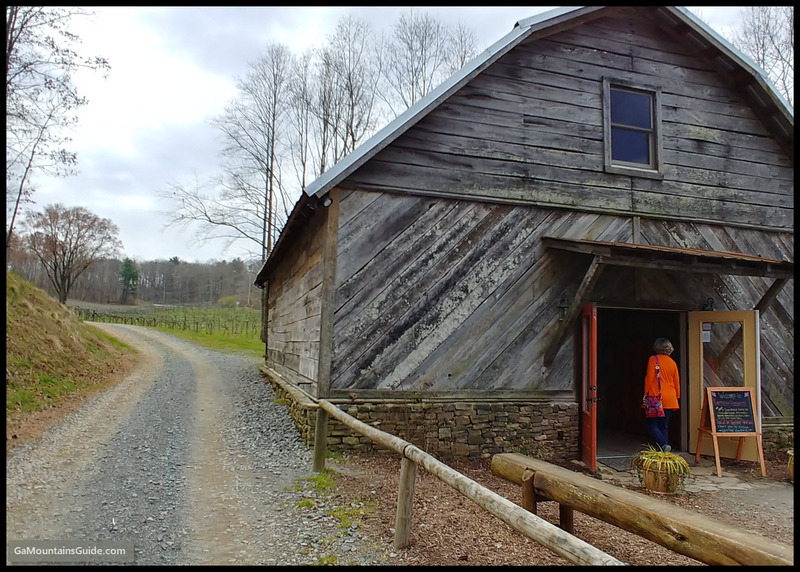 Cartecay Vineyards is just outside of Ellijay, GA, and has a Tasting Barn that is a refurbished century-old barn. Today it sits on the same site and has the same footprint as when it was first constructed. 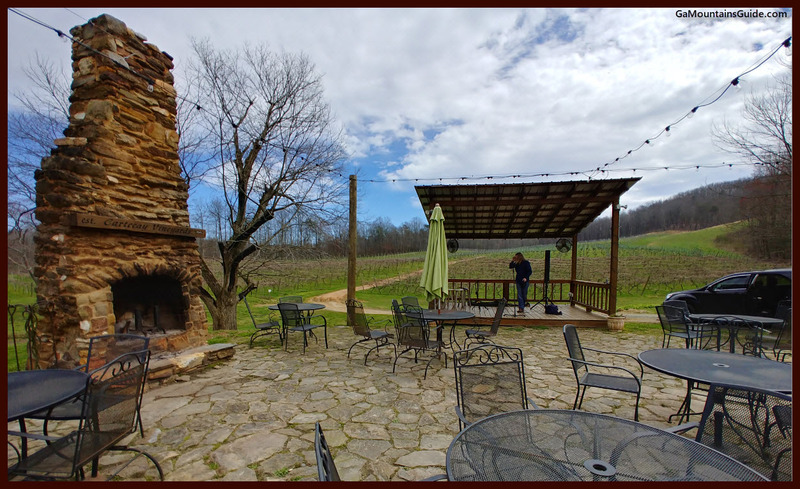 When weather permits, the Chimney Patio also includes a Tasting Bar where live music is performed on Saturdays and Sundays. 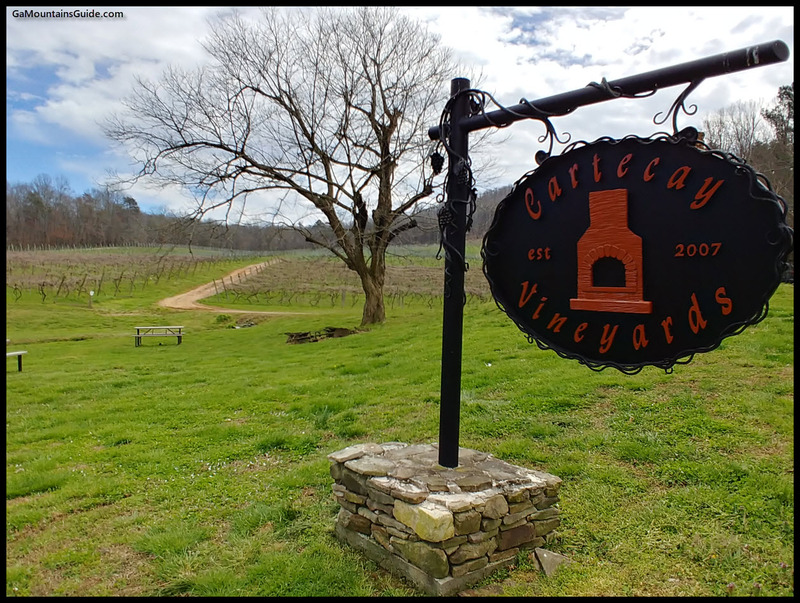 Cartecay Vineyards was planted in the Spring of 2008 has grown to include 13 acres of planted vines. 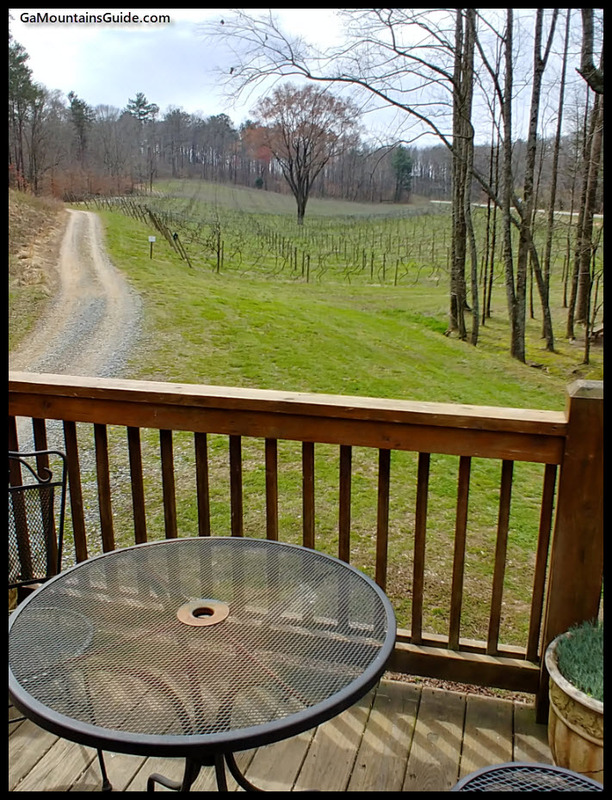 While their facilities have a lot of charm, their wines and tasting room experience are not as inviting as other area vineyards. It took a while to be acknowledged at the bar, and even though there were 2 bartenders when we arrived, they both disappeared (for over 5 mintues) during the middle of our tasting. Plus, when we were offered blended wines, the employee did not tell us anything about what they contained. Even the printed “tasting sheets” did not include the usual information regarding contents of the wine. The driveway and parking area are gravel (plan footwear accordingly). 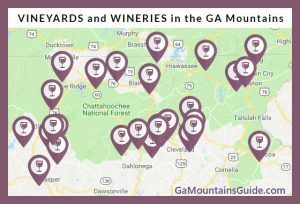 Visit the Vineyard & Wineries page for a Map of the vineyard options available in the Georgia Mountains! © Copyright GaMountainsGuide.com 2019. Theme by Bluchic.